Following on from my previous reflections, I continue to inquire into the art of delegation. My second stop was to read a book called Big Potential – Five Secrets of Reaching Higher by Powering Those Around You. I just stumbled across this book quite by accident and found it a good read with a few “ah ha” moments with strong links to my inquiry. I found the quote below particularly great and shared with it my Board. It provides a big hint to what you can expect to get out of the book – empowering those around you will not only lead to their potential being realised but also to your own. This reinforces what I already know about the delegation, that empowering those around provides more opportunity for creativity and innovation.Effective delegation leads to empowerment. This book takes it further though than the previous text I read which is maybe a bit clinical. The foundation of Big Potential is well grounded in research right from events taking place in the natural world through to brain development, examples from business, and what is great to see, from education. The author describes, and so accurately, how as a society we look at individual skills, attributes and knowledge throughout our schooling and education. We are assessed individually, reported on individually, apply for jobs individually. This is all contrary to all the research presented which shows that you will never reach your full potential by acting/learning/working individually. As we reflect on how schools operate we also embrace the individual in so many circumstances. Prizes at prizegivings, MVPs for sports teams, individual tests, head boys/girls, individual reports. We reinforce the notion of the individual and their success but the research shows you will be more successful based on how you contribute to and benefit from, the people around you. This takes me back nicely to the whole purpose of reading this text, to Explore systems & mechanisms to support effective delegation & ‘working through others’. This book is rich in research, advice, and practical strategies to power those around us. While the word ‘delegation’ only appears once in the whole book, all of the advice in the book supports that goal but it does it in a way that is justified by research and in a way that honours the wellbeing of others e.g. just by changing the way we praise. 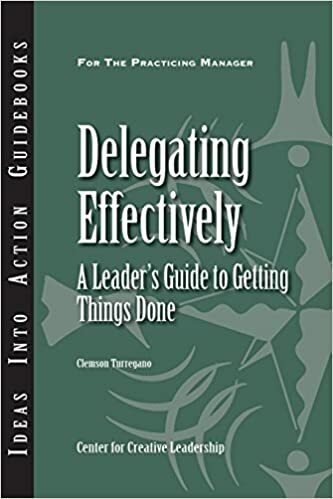 Even if you put everything to do with empowerment/delegation to the side this book has a whole lot of good it in to support your leadership development. I shared some of this thinking at our school’s leadership team PLG. We were updating each other on progress towards our goals. After sharing some thoughts, the rest of the team posed some questions, mostly in regards to my slightly provocative theory statement of delegation being an old school approach deeply rooted in a hierarchal leadership framework, and empowerment being the modern day equivalent and more aligned to a leading alongside approach or a networked framework. How do you know you have empowered someone? How is this theory going to help you with your feelings of workload and being overwhelmed? Where are you now on the scale of: Overloaded<————————>Sweet as? What systems and attitudes might our staff need to develop? What ideal character qualities will you need to drive a networked leadership framework? I wonder how this theory is going to help you manage your workload? What might empowerment look like? How do you monitor it? Some good meat in there for me to ponder as I continue on this personal learning stream of inquiry. Our pick your own pathway approach to staff appraisals is all up and running now after having the complete process put under the ERO review microscope last term. The outcome is an approach that embraces our school vision and additionally ticks off the compliance aspects of teacher appraisal. For me the first outcome was the most important, that our appraisal reinforces our school vision empowering agency, innovation and leadership. The second of being compliant i.e. a vehicle for teachers to renew and/or become a fully certified teacher, is actually pretty important for the teachers too! However, I am conscious of any compliance conflicting with opportunities for empowerment and I often want to go for the pureness of empowerment without compromise! Check the graphic below or this great clip for more in this strand of thinking. Maybe a hint of disobedience here too. First was the underpinning/official Teacher Appraisal Procedure. The purpose of this document is to clearly outline the beliefs that drive the approach and the full process. This provides all stakeholders and interested parties i.e. appraisee, appraiser, BOT, ERO, with a robust transparent framework where they can be assured that their co-constructed views have been incorporated, as well as the compliance aspects. Secondly, reference in the appraisal procedure is made to an Appraisal Plan and Summary template. This document combines both of these steps. Initially it is to be completed by the appraisee and a member of the leadership team to set the appraisal up, and then by the appraisee and appraiser to guide how the personalised process rolls out over the year, and to provide a summary report at the end of the year, the later an important compliance step. Update number three relates to the starting point for the appraisal, the pick your own pathway doc. This has gone to version #3 now and has incorporated teacher inquiry (don’t know why that was ever left off my previous versions especially considering my older posts like this one…) into the process as well as a reshuffle of the order to prioritise our school’s vision and values over the standards for the teaching profession. Maybe TAI and the standards may do a swap in future versions. Staff were asked to make a copy of the doc and complete it by ticking on those areas that they would like to be included in your appraisal, or at least part of the set-up discussion. These would normally be areas that they need to work on, or have a particular professional interest in. They had to tick at least one in each column but could tick more than one in any column as required. Staff were also encouraged to also add in any aspect that is not already there. Finally, rather than having a meeting to outline and discuss the appraisal ‘system’, the leadership team suggested a video/screencast of the process was the way to go. This attempt was well received – I am not going to be a YouTube sensation but it did allow staff to understanding the approach and do so in their own time and follow up face to face with any questions. Staff were released to complete the set-up and appraisal plan. Very appreciated and worthwhile – gives it the value it requires. If it’s important – fund it! When discussing the pick-your-own pathway, don’t discuss and confirm the last three columns (who, how, when) until you have confirmed the goals. The goals will often direct these aspects, especially the who (thanks for this great tip Nic). Video/screencast approach is a winner and we will look to grow this semi flipped approach more especially in light of being a no staff meeting school. Need to reinforce more the working smart approach. Teachers are busy people and as such learning that they are already doing (i.e. ongoing TAIs in the classroom, professional learning) should be the basis of the appraisal goals. The goals shouldn’t be anything extra and should enhance these areas of growth. This is not inherently clear in the pick-a-path process, yet. Future thinking re the pick-your-own pathway is somehow linking/initiating it through a probing reflective questionnaire (based on the column headings & content) that then magically spits out the priority areas/work ons, kind of like an e-asTTle dashboard i.e. an interactive online smart tool that helps you to pick-your-own pathway, or an app for your device. One of my goals for next year is to promote teacher agency through the implementation of a personalised approach to professional learning and development. This is an area that I have increasingly felt strongly about as I have read and reflected and had my thinking prompted by some key people. When the goal was set we outlined the following expected outcomes. PLD mirrors our beliefs about learning and teaching in our school. This one is perhaps more of an underpinning philosophy, where the beliefs that drive what learning looks like for our student learners should be the same beliefs that drive learning for our adult learners. Right let’s move on… the purpose of this post is to outline all of the influences that currently guide my thinking. Empowering agency, innovation and leadership. This is the starting point for all that we do; reviewing, decision making, strategic direction, resourcing, budgeting, appointing staff… and as such must be a driver for and be reflected in our approach to professional learning. 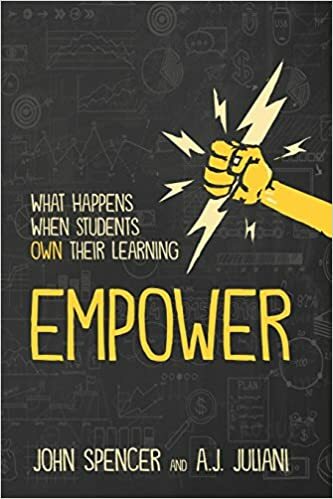 Thus empowered teachers, the conditions for innovation and the opportunities for for staff to lead their own learning must be present in any approach to professional learning. Our school was privileged to recently lead a Teacher Led Innovation Fund (TLIF) project which focused on developing learner agency. One of the outcomes was the development of a learner agency self-assessment tool, derived from a matrix, which outlined the skills and dispositions of agency. As we discussed how we could use this tool to capture data about our learners to show progress of groups or individuals, and also review how we were providing the conditions for agency to flourish; (after all, this is critical, it is one of the key strands in our vision), I kept asking myself and then later my colleagues a question. Could this tool also be used for teachers to measure their own agency? If we change the RSS Kids in the middle to RSS Learners, would the characteristics of agency be the same for both students and adult learners? As a principal I don’t have a class of learners but I do have a staff of learners. So rather than looking at this through a teacher’s lens, I am looking at it through the lens of a principal. That changes it up a bit and puts me in a position where I ask myself a range of reflective questions. Teachers are driving their own learning? Teachers are connecting learning with their interests, talents, passions and aspirations? 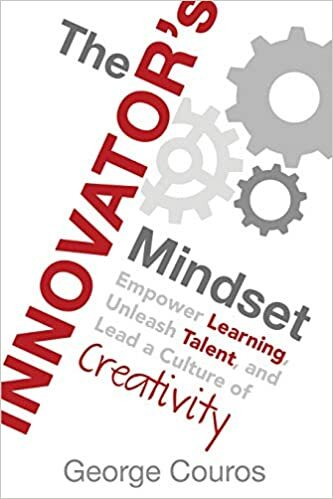 Another book I am constantly going back to is George Couros’s The Innovator’s Mindset; Empower Learning, Unleash Talent, and Lead a Culture of Creativity. There is a whole lot of material in here that is influencing my thinking and personal learning. Let’s take this graphic for instance that outlines the 8 things to look for in today’s classrooms. Do they have voice and choice? Are there opportunities for them to be innovative? Do I give value to and provide time for reflection? etc. Also, recently George posted about the 4 Questions for Administrators to Promote a Culture of Innovation. The first question struck me as it is almost a carbon copy of my own underpinning philosophy recorded above. Often we ask teachers to do something different in the classroom, while we continue to do the same thing in professional learning. The best way for teaching practice to change in the classroom is for professional learning to look different as well. We create what we experience. If teachers are not excited about the learning opportunities that are offered, why would we expect them to create engaging and empowering environments for students? If you have taken note of everything else above then you can see how easily the points here dovetail with the other influences on my thinking re professional learning. Additionally when you do look at the full 10 characteristics there are many other ideas that align with my thinking including; inquiry based, collaborative, personalised and purposeful. Also I am really interested in investigating further the Create Your Own Adventure approach – that appears to have great potential and value. My thinking in this area has been influenced strongly by my own involvement in smaller more intimate professional learning groups supported by 1-1 coaching. I know that this has a much greater impact on my personal development than attending a large group professional learning opportunity. Based on this premise then my belief is that staff will also greatly benefit from small group professional learning supported by 1-1 coaching. I have previously reflected on my thoughts in this area as it also compliments my current thinking in personalising PLD. Again, looking at the approach from a principal’s perspective as I attempt to create an environment where the professional learning is personalised for teachers. OK so that is a quick overview of what is influencing my thinking. I have a plan forming in my mind about what shape it might make which I will describe soon after I have talked it through with a couple of key people.